It’s easy to forget in the every day bustle of our lives that the little things we do are often the ones that remain unforgettable. Sometimes little acts of kindness can become giant deeds to the recipient and can make all the difference in the world. And we may not even have realized what we have done. When I was eighteen, I decided I knew everything there was to know in the world and graduated from high school with a brick, not a chip, on my shoulder and a mental block the size of a cement block. By the time of my graduation open house, I think my mother had actually stopped speaking to me. I had rented an apartment in Ann Arbor, thirty miles from my parents, and had gotten a job as a clerk typist for a large corporation. Now in my mother’s world a daughter didn’t do this kind of thing. I was supposed to live at home and work or go to college and receive my Mrs. Degree. But I had no use for college or for anyone’s advice, and believe me, when I’d made up my mind on something, my family had learned in a mere eighteen years, to leave me alone. Enter my high school government teacher, Howard Johnston. He was the only one who took a few moments to talk to me. Because he took those few moments with me, I began to reevaluate. I kept remembering his words. They weren’t a command or a question, but a statement. And because he had bothered with me at all, I began to open my mind to other possibilities. By the following January, I was enrolled in college and within four years, I was a teacher. And my mother was speaking to me again. When my mother contracted double pneumonia in 1998, I wasn’t sure when I should go back to Michigan from my home in Florida. She had a 50/50 chance for survival and my brothers and sister-in-laws didn’t know what to tell me. I arrived within twenty-four hours with my mother still conscious. She nearly pulled the IV out of her arm reaching for me when I walked into her room. Within hours of my arrival, she slipped into a coma and died a day later. I made it just in time to say good-bye. I never thanked that doctor for his act of kindness. He probably has no idea what it meant to me to arrive at my mother’s bedside while she still knew I was there. I never thanked my government teacher either. And I don’t know how to reach him now. Those acts of kindness need not be with someone we know. A simple smile, a grateful word, a slowing of our pace to let someone else go first in line at the grocery store. We probably do many of these things unconsciously. Today try to consciously help someone and see what happens. 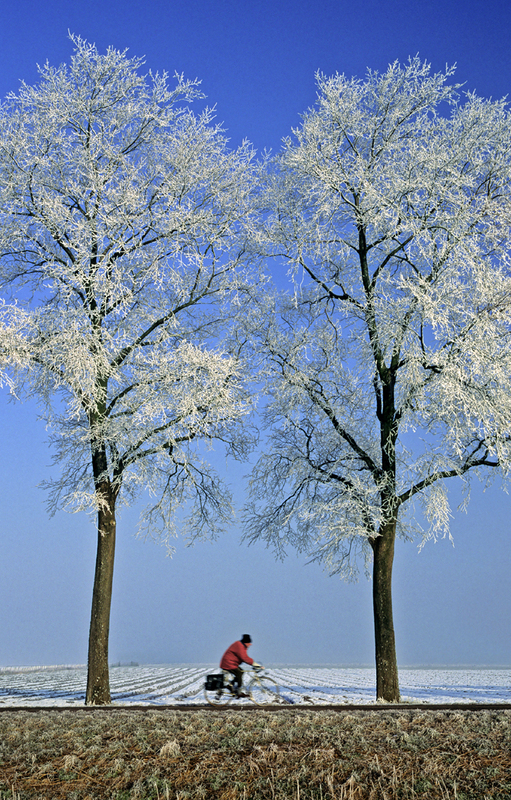 Remembering to give a word of gratitude helps continue the cycle of kindness. With so many words of hate and disparagement floating around us these days as the political season heats up, let’s remember we have more in common as human beings than we have differences. Kindness and compassion help us live in a state of grace. It’s better than aspirin as a pain reliever. 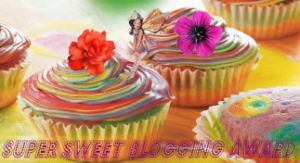 My blogger colleague Marcella Rousseau has nominated me for two awards: Super-sweet award and Beautiful Blogger Award. 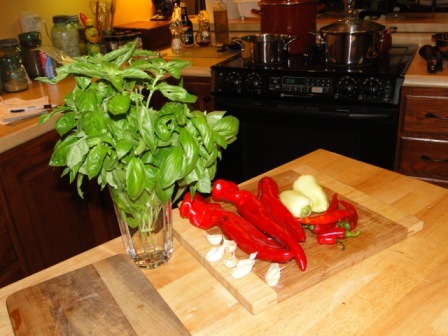 Marcella writes one of my favorite blogs, For Your Good Health. Please stop by her blog, and I think you’ll discover why she’s an inspiration to me. I’ve received several awards since I started writing Living Lightly Upon this Earth in April. Each time I’m honored to be nominated. The requirements for acceptance involve mentioning the nominator (thanks, Marcella), answering some questions about ourselves, and nominating others. I’m going to take a few liberties today with the requirements. The super-sweet award wants answers about our sweet tooth, and I try to pretend I don’t have one. I’ve answered lots of questions about myself on the other blogs. Since my book Live from the Road is about travel and I’m going to launch a new blog with travel posts in the next month, I’m going to give a list of some not so common places I’ve visited over the years. These awards are a way for our blogs to be recognized and to draw more followers and comments to our sites. I appreciate that, and I appreciate the followers of both my blogs. I love getting comments because it tells me someone out there is listening/reading. I want the same for my fellow bloggers. I’m going to provide a list below of the blogs I read every time they write a post (I follow 30-some posts – I can’t read every single one!) because they are so inspiring to me. If you’re reading this post, please visit at least one of the blogs below and leave them a comment if you like what you read. That helps us bloggers as much as anything. 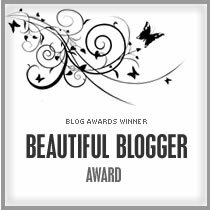 I will leave it to these bloggers now nominated for the Super-sweet award and the Beautiful Blogger Award to do what they may with the award! And please remember to visit at least one of them and leave a comment. Thanks! This past weekend we put up seven quarts of Italian sauce from our tomatoes, peppers, onion, garlic and basil. See my post “The Tomato – Luscious and Delicious for the process and recipe. This is our third year for preserving the harvest from our garden. We’ve developed a rhythm for our time in the kitchen as we make sauce. My husband washes, peels and cuts up the tomatoes, peppers, and onions. I prepare the garlic and basil. I squeeze the juice and seeds out of the tomatoes after my husband does his thing with them. Sometimes the process gets slowed down because he pulls out seeds from the very best to use next year. 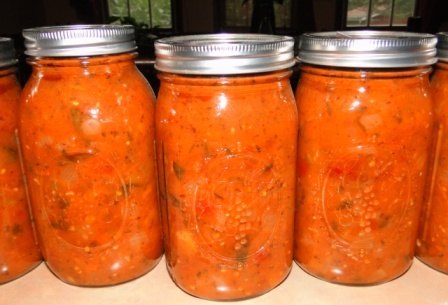 The whole process – from washing the tomatoes to pulling the jars of sauce out of the canner – probably takes four hours. It’s not a cost effective process if only dollars and cents are factored. But there’s other considerations. Nutritionally, the minerals and vitamins from the vegetables are outstanding. The taste alone justifies the time. And then there’s the other and perhaps the most important part. Robert and I love working together in our kitchen handling the vegetables we’ve nurtured. We handle the tomatoes and other vegetables with loving care. I am lost in the texture of the tomato as I squeeze each one. The smell of garlic and onion sauteing in olive oil beats eau de cologne any day. For mere hours, we are suspended and lost in the garden of our creation. The love we pour into our concoctions cannot be calculated on any cost analysis. As the sauce simmers and boils down, we begin taking the pulp and straining it into juice. Then it’s time for our Bloody Mary or Maria (with tequila) with juice from our garden. Last night we savored our first taste of the sauce on pasta (I wanted the flavors to meld so I let a meal-sized portion rest in the fridge for two days). We both agreed this year’s batch is definitely the best – until next year rolls around. How about you? Do you think preparing your own food (even if it’s not from your garden) is worth the effort? When is green more than a color? When it’s part of social responsibility, of course. It wasn’t long ago that we only focused on simple things such as can recycling and light bulbs when it came to being green; nowadays that is not enough. People are looking beyond easy for ways to affect real change. Recycling has blossomed beyond just separating out paper from other trash. Most cities have massive recycling centers, and many locations have bins for recycling that don’t even need to be sorted. That sure makes it easier for people to do the right thing. I saw a poor Elvis impersonator on a street corner in Portland, Oregon a few years back. I watched him from across the street as I sat with my daughter at an outdoor cafe in one of Portland’s lovely small-town neighborhoods. He wore all the accoutrements of a typical Elvis imitator: thick black hair, yellow plastic glasses, white sequined bell-bottoms, red cape and hand-held microphone. He looked the part. But when he sang? Nothing at all like the real “Jailhouse Rock” rocker. If someone walked by without stopping or tossing money, he drooped his shoulders and stopped singing, leaning down to turn off the boom box that sat near his white vinyl boot-clad feet. 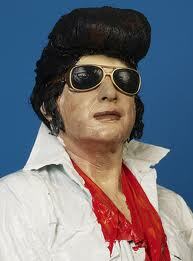 Nothing sadder, I thought, than a poor Elvis impersonator. All the trouble it must take to dress for his excursion to the street. And frankly, , it looks ridiculous unless the impersonation is impeccable. “Are you going to give him some money?” my daughter asked as I continued to watch the Elvis wanna-be across the street. “I’m thinking about it, but I don’t want to contribute to his sad state of being,” I answered. I wanted to walk across the street and give him the best philosophy I could impart. I never gave him the advice, but I’ve remembered it myself every day since. Whenever I find myself headed away from who I am, I remember that man in Portland and change my direction. Maybe he’s not such a sad character after all. Live from the Road is featured on Laurie’s Thoughts and Reviews today. The blog contains an excerpt from the book, an interview with me and a chance to win either a print or kindle version of the book. Drop by and visit and enter to win! 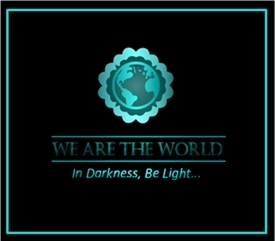 The contest ends September 22, 2012. I fell in love twice several years ago. The first time I fell in love with my husband. 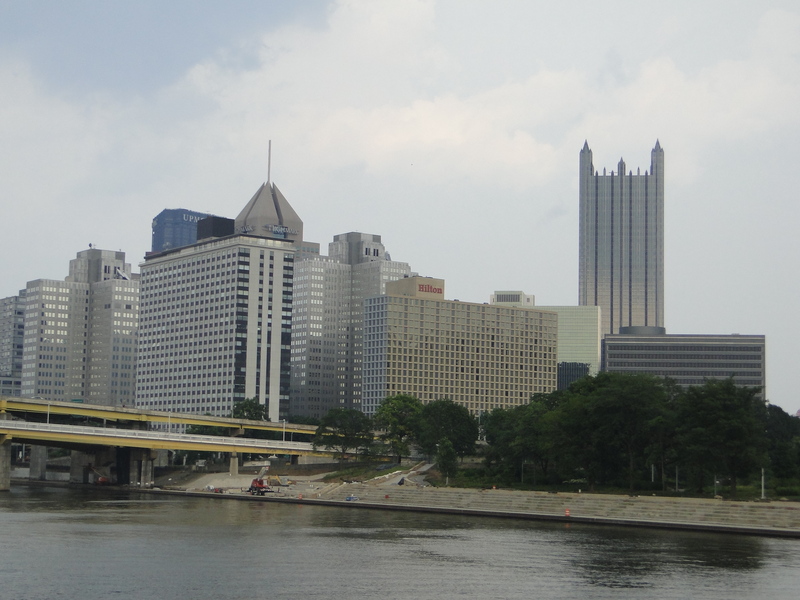 The second time I fell in love with the city he called home for more than three decades: Pittsburgh. “You’re moving where?” family and friends asked. Even strangers asked me why I would move from Florida, the Sunshine State, to the cold north. I still am asked that question. Each time I answer that love brought me here – twice. Pittsburgh remains a well-kept secret from most of the country, except for those of us who know about its not-so-secret charms. How did this second love affair begin? Perhaps it began in a geography class in Michigan, my first year in college in 1974. That’s when I learned about the Allegheny and Monongahela rivers converging to form the mighty Ohio, giving Pittsburgh a starring role in the Industrial Revolution of this country. The idea of water creating our urban centers left an impression. 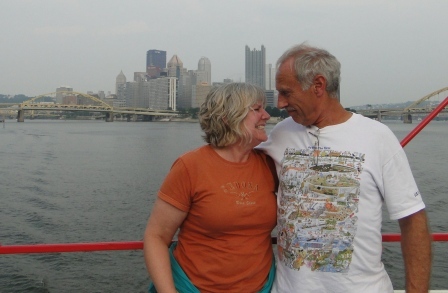 Then I never thought much about Pittsburgh until 2009, when love brought a renaissance to my world. Probably the first surprise was the landscape of the Pittsburgh area. When I drove into the city from the airport, I marveled at the hills and the valley below created by the three rivers of Pittsburgh. There are particular vistas all around the city and its environs that allow me to believe anything is possible. I lived in Florida for nearly thirty years, having moved there from Michigan in 1980. Many of the residents come from somewhere else. Finding a native Floridian resembles the search for that old needle in the haystack. When I first came to Pittsburgh, I noticed a difference right away. Most people I met and still meet were born and raised in the Pittsburgh area. Although they might think of moving somewhere else, they really do not intend to leave. I’ve learned those who do leave tend to return. Soon after I moved to the Steel City, the Pittsburgh Post-Gazette reported folks volunteered to paint planters downtown to freshen up for spring. No wonder Pittsburgh could reinvent itself after U.S. Steel left town. 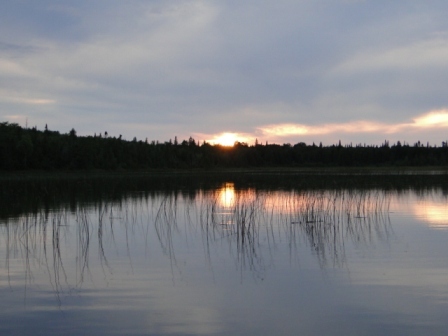 The people – not institutions – made it possible because they love this place, which uniquely exists as the western East, the eastern West, the southern North and the northern South of the United States. Places of green still exist here because the hills make some sections uninhabitable, both surprising and delighting me. I am an urban country girl, and I have always wanted it both ways. Here I’ve found that balance in both my surroundings and in my personal life. I love the hills, but I love the architecture of the churches, commercial buildings, and homes as well. Studying those structures is a lesson in American history all by itself. The bridges are also a wonder of engineering and architecture. 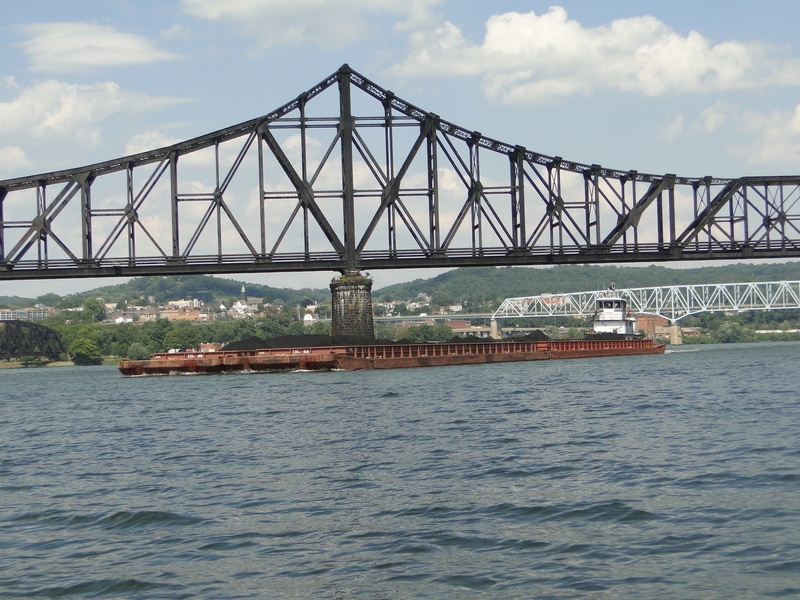 Pittsburgh has more bridges than any other city in the world. My love affair intensified after a visit to the Heinz History Center. I found myself curiously emotional as I learned about the city and its inhabitants. I never realized so many influential folks from Pittsburgh played an important role in my life. Dr. Benjamin Spock taught me I would not spoil my child by picking her up when she cried, and Mr. Rogers visited our neighborhood every day to reinforce the concepts of friendship and citizenship in my young daughter. Rachel Carson, whose environmental writing helped develop awareness of DDT and the pollutants in the air, inspires me in my writing and life. Nellie Bly broke through glass ceilings allowing me privileges unknown to the women of her generation. Stephen Foster immortalized the place I lived in Florida for nearly three decades through song. He never visited “way down upon the Suwannee River,” but he called Pittsburgh home. Although I did not know it at the time, Pittsburgh and its inhabitants served as the backdrop to my life, from the ketchup I poured on my burgers to the polio shot I received as a child. No wonder I fell hard for this place of steel with its soft edges and open arms. My surprise at falling in love with Pittsburgh is exemplified in the surprise that comes whenever I approach the downtown area from my home 45 minutes west of the city. 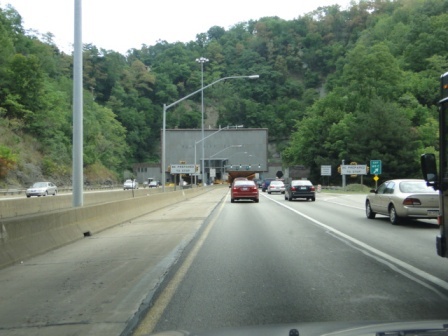 Within one mile of the center of Pittsburgh, there is no view of a skyline, only the hillside and then the sign announcing the Fort Pitt Tunnel. The tunnel is a mile long cutting through the rock of the hillside. 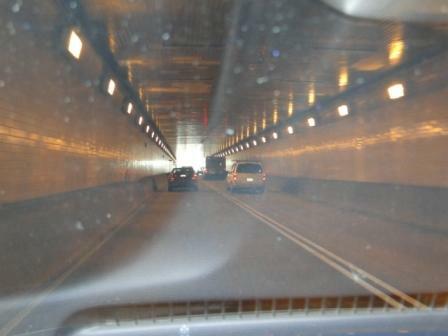 The tunnel’s lights guide the way when suddenly daylight is seen at the end. 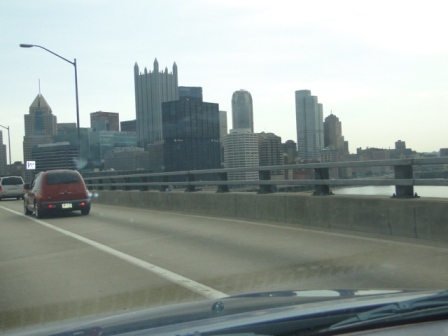 Suddenly, the car bursts out into the sunshine and I’m crossing the Monongahela River and there is the surprise and delight of a city in its Renaissance – Pittsburgh in all it glory with the Ohio to the left and the Allegheny straight ahead, and a distinctive skyline of steel and glass. That’s all it took for me to fall in love with my new city. Pittsburgh also provides the backdrop for my new marriage. 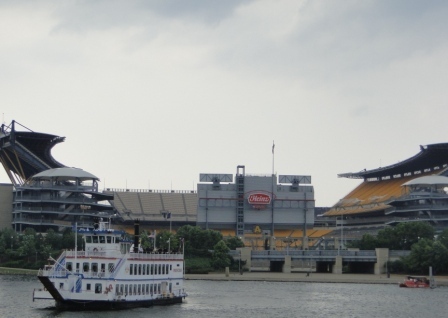 As I traverse the city and experience the Strip District and its glorious markets, cruise the three rivers and cheer the Penguins, Steelers, and Pirates, I am certain my decisions to marry and to move here are victories for love both times. Note: This was originally published in the Pittsburgh Post Gazette on May 5, 2010 in the “Raves” guest column as “Raves: She first fell hard for a Pittsburgher, then for his city.” It’s published under my former name, Patricia Behnke, three months before our wedding.